John and I stopped by my parents’ house for a visit. My dad was prepping some artichokes to be stuffed and he was more that willing to share the wealth with his FAVORITE* daughter and son-in-law. He had boiled them and then cut them in half length-wise. The choke was then scooped out. I had never stuffed open artichokes and was excited to try it! 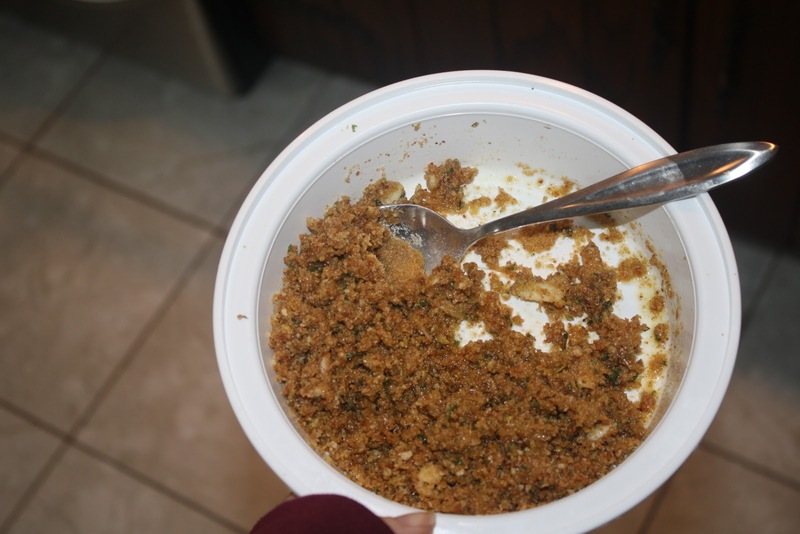 In a separate bowl I combined breadcrumbs, garlic powder, basil, parsley, and oregano. Olive oil was then drizzled in slowly as I mixed it up. 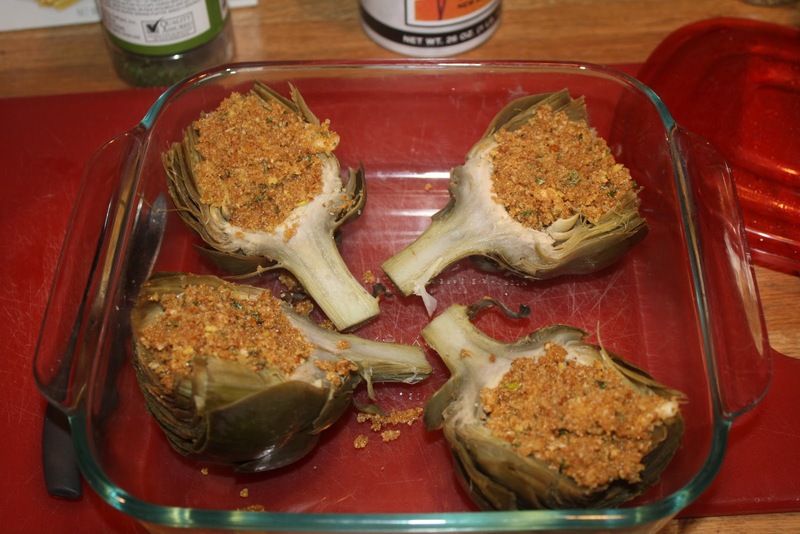 When the stuffing had a nice consistency, I filled in the part of the artichokes that once held the chokes (my dad scooped them out). It was broiled in the oven until it was juuuuust turning brown. Then I promptly forgot to take them out, so they are a LITTLE overdone. Even though they were a bit overcooked, they were SO DELICIOUS. 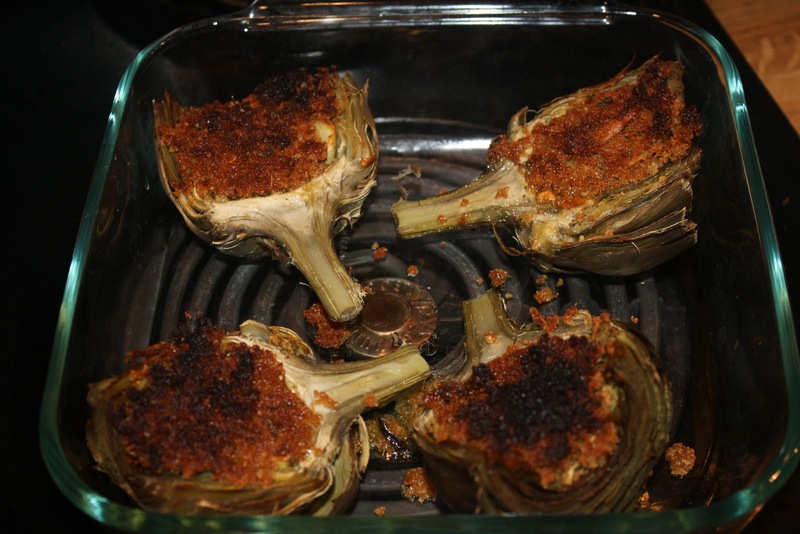 It was much easier to stuff and eat them this way, although I think John and I prefer the traditional stuffed artichokes with a little filling on each leaf. 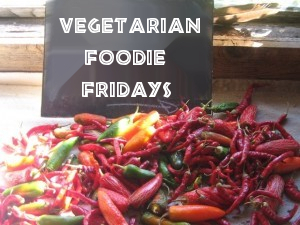 This post was featured on Vegetarian Foodie Fridays over at Breastfeeding Moms Unite! Categories: artichokes, veggies | Permalink.